near Canterbury on 30th August 1940. Mark was very fortunate to have 11 copies of this RLM collection print signed by 603 Squadron Battle of Britain pilot, Sqn Ldr Gerald ‘Stapme’ Stapleton. 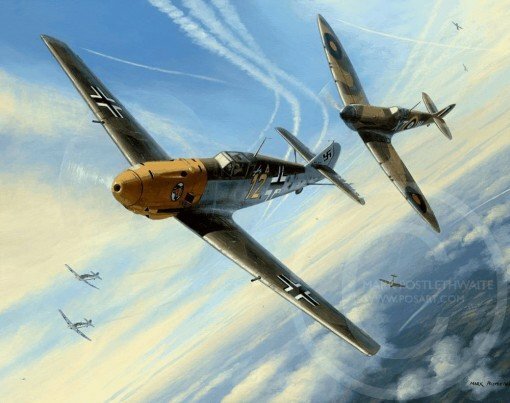 The irrepressible ‘Stapme’ flew with 603 Squadron throughout the Battle alongside Brian Carbury who is depicted in the painting on the tail of the 109. Sadly ‘Stapme’ passed away in 2010 aged 90.